Cervical cancer is the leading cause of mortality in low and middle-income countries (LMICs). The WHO has released guidelines that facilitate increased screening coverage and consecutively increased detection of cervical “precancer”, a curable precursor to cervical cancer. CO2 based cryotherapy, has failed to adequately address the problem in LMICs as it is expensive, difficult to procure, and hard to transport. Thermo-coagulation is a mobile, economic and user-friendly alternative. HOW DOES THERMO COAGULATION WORK? Unlike cryotherapy, which uses cold temperatures to ablate tissue, thermo coagulation uses heat to destroy tissue. The superficial epithelium blisters off after treatment, and the underlying stroma and glandular crypts are destroyed by desiccation. Thermo coagulation cannot be compared to HF coagulation, where temperatures of around 320°C are reached. The maximum temperature during thermo coagulation is 120°C to control of post-LEEP bleeding. 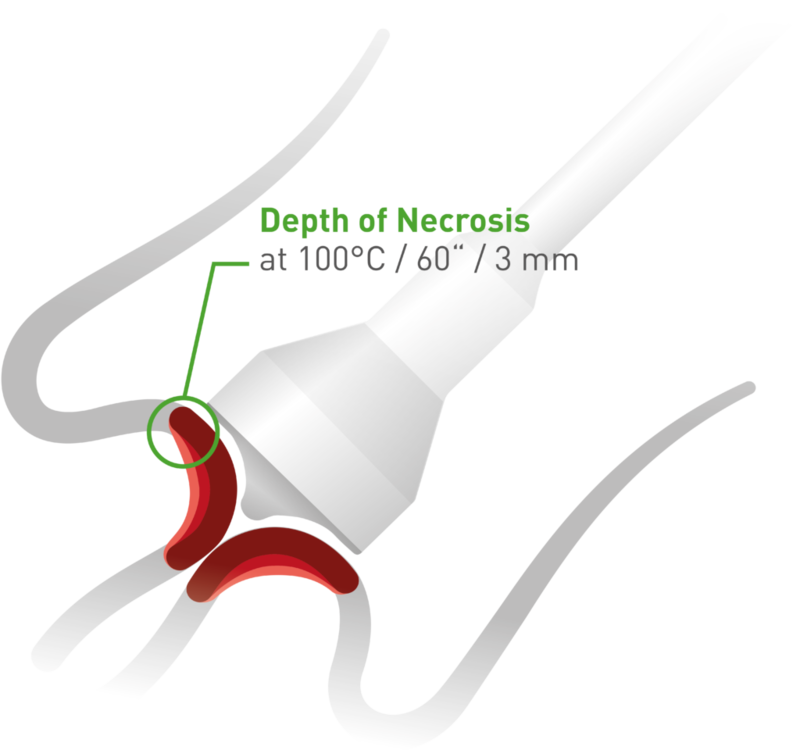 The temperature for treatment of CIN is 100°C which ensures an adequate depth of necrosis and results in an efficacy comparable to cryotherapy. 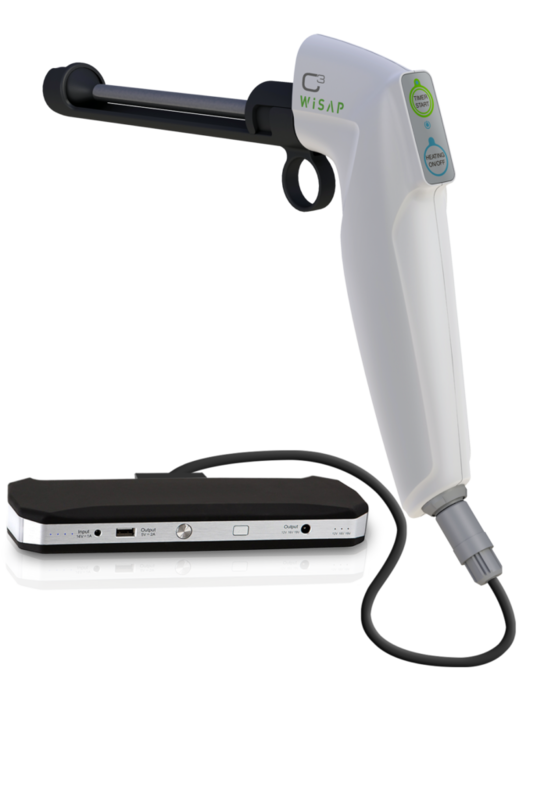 The technology has a clinical appeal because it is user-friendly, inexpensive, and durable. The system runs entirely on electrical power and requires no gas to operate. The treatment is fast, easy to learn and the equipment has a low dependency on a service infrastructure. 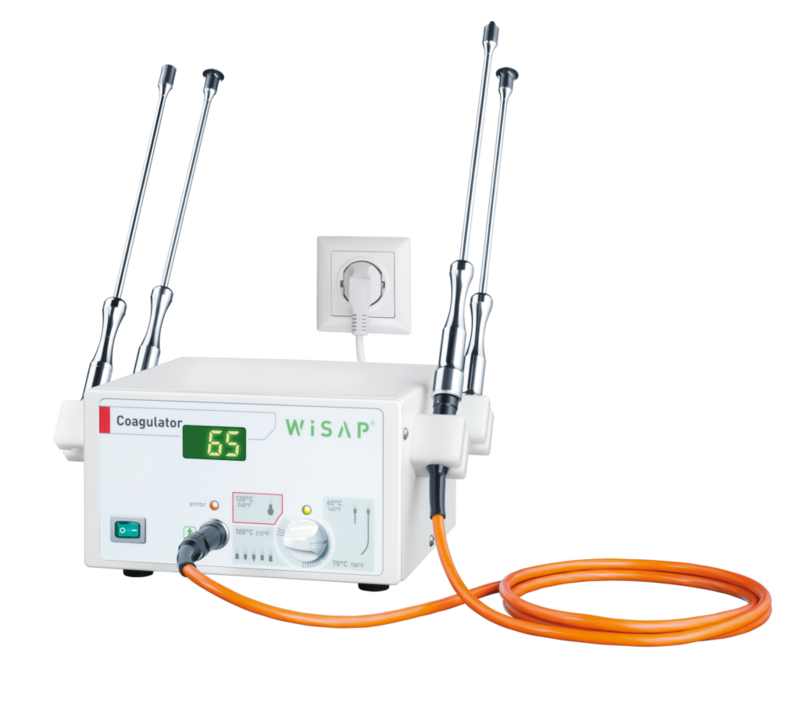 The treatment requires generally no local anaesthesia and is administered within a very short treatment cycle (< 2 Minutes). The device is fairly simple to use and does not require long enduring and costly training for an operator to understand how it is done properly. Published data shows that cold coagulation treats cervical lesions as well or better than cryotherapy. Numerous clinical trials show a parity in efficacy compared to cryotherapy, but a significant lower presence of side effects. If you want to find out MORE visit our DOWNLOAD page.